As any serious bodybuilder knows, one of the dreaded side effect of cutting is losing your hard earned mass gains. 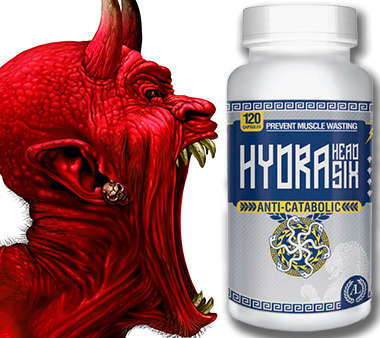 But Antaeus Labs claims to be changing the game with Hydra Head Six, an anti-catabolic supplement. 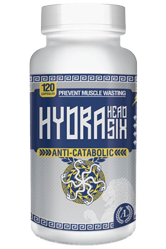 Hydra Head Six contains anabolic boosters, which the company says will actually help you increase muscle mass while cutting. It also looks promising when used in post cycle therapy (PCT) as a way to hold onto all your muscle and strength gains, including the ones that tend to be lost as a result of finishing your cycle. Hmmm, haven’t we heard this all before – we’re not naming names but…you know who they are. Antaeus Labs has a solid reputation as an innovator and was the developer of some serious mass gainers from the PH days. 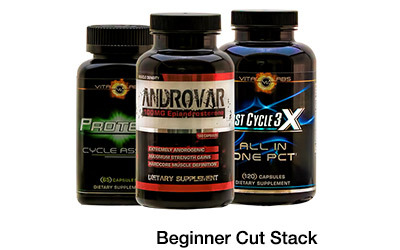 They were the first with an anabolic transdermal that customers claimed, stacked on mass to the tune of 15lbs per cycle, all the while bypassing and saving your liver. Their newer products Thunder Bolt (pump enhancer) and Achilles (joint support) are well received by customers. Maybe this time someone got the bulk while you cut formula right, you be the judge. You can check out Hydra Head Six for yourself here. Thank you for your question. Basically, Hydra Head Six has six ingredients that are intended to fight several muscle minimizing effects. The description of each ingredient is contained here, which is also the page where you can make an order Hydra Head Six. Check it out, but if you still have question please contact our Pro Support Staff and they will happily answer all your questions. Hi David – Thank you for your question. This is a question best answered by your doctor as you are under their guidance and treatment. Thank you for your question. 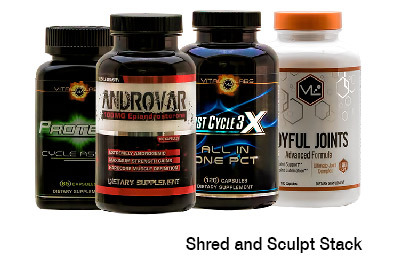 We offer free samples for items like fat burners and preworkout products. Unfortunately, the nature of these types products is that they are done on a cycle basis, meaning you need to take a full course to get the benefits; therefore we do not give out just a few sample capsules. Checkout out the reviews and or the questions and answers on the product page (Hydra Head Six Product Page Here) to see the experience other customers had. Thank you for your question. I am glad you asked, you can get it here: Hydra Head Six. There is a reason they don’t give free samples. If it really worked, then you would buy more. Hi Sarma – Thank you for your comment. We actually do give free samples, quite a few in fact, but they are almost exclusively included in customers orders. However, some products are impossible to give away as free samples. 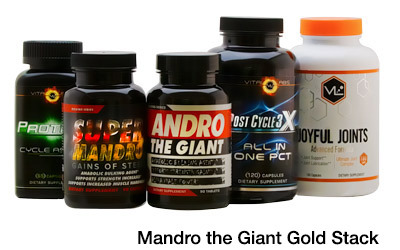 Take our natural anabolic products for example. For you to see them work well you need to take a full cycle, which in most cases is a full bottle; obviously that is more than a sample. In lieu of free samples we do have Special Introductory Offers when some products are first released. These are sold for a limited time usually around 30-50% off. This gives customers the opportunity to try a full course out for a great price and it give us the opportunity to get the product into the hands of the masses and learn what customers think. If the product is good it ends up selling extremely well and you may know we don’t discount it at all. 1. Because the better products usually have a higher cost to us. 2. We don’t need to discount them because they sell well at their full price – even when the competition is giving their products away. But, if customers don’t respond well to the products after the release they are promptly discontinued, which helps us keep our reputation for selling the top supplements. Thank you for your request. You can begin receiving our email newsletter (3 days a week) by signing up here: STRONG SUPPLEMENTS EMAIL. You can subscribe to it as long as you like and quit whenever you want, however, because we want it to be your choice we cannot add you manually. You have to do it through the sign-up form. Next PostOlympus Labs Seeks Post Cycle Crown with K1NGS BLOOD PCT - Royal Gainer or Cycle Aftermath Liver Painer?? ?